Over the course of the last few days I have been feeling the effects of overwhelming emotions and realizations. One of the many realizations that I have come to is that over the last few years of my life I have not been living committed. In life we commit to people, places, things, choices, life paths (I think you get it at this point) and we move forward, ever persistent in obtaining those goals. Steadfast. Sometimes unnervingly dedicated to the end game in mind. I remember that commitment. That drive pushed me through high school with honors. It helped me through many nights were I fell asleep on my textbooks, often times waking up with the pen still in my hand trying to write and a note card stuck to my face from the drool (I drool horribly when I’m exhausted). That commitment pushed me through college when I had no help from family, emotional or financially, I was the sickest I had ever been and was working an obscene amount of jobs while having a full course load and a somewhat consistent social life. I was committed because I had a goal in mind. And even though I crossed that finished line broke, busted, disgusted, broken (I cried every day during the last 6 weeks or so of my final semester) and mentally fatigued I made it. I had accomplished it. The goal. Graduating. I was done. I followed the road map. The road map got me nowhere. The road map failed me in fact. I had no job prospects. I never had the opportunity to attend internships because I had to actually make money. I had no real connections. There were no jobs (and when I say no jobs I mean the ones worth taking because I now have 80K plus in freaking student loans) my brain and will power were depleted; I really had nothing left. So I started existing. Drifting almost. I needed direction and the point that everyone was driving home was that I needed to make money. I needed a job. It didn’t matter what job just a job. So I looked. I only had my college work history of working retail and hotel night audit jobs to go on and that’s exactly what I ended up doing. I took a job at Bed Bath & Beyond for $8.00 an hour even though less than a year before I graduated with two degrees from Baylor University. I needed to work though. I had to get out on my own two feet. Being the oldest female child in a black family doesn’t allow for the liberty to stay at home while you figure it out and get it together. It just doesn’t work that way for us and we spend most of our time being hardened and taught the lesson that we had to get it for ourselves. I knew I had to leave. I knew for any peace to exist I had to be in my own space because the scrutiny would always be there if I was at home. I knew they wanted me out. This honestly led to a string of jobs that I never actually wanted. I took a night audit job at a hotel and between there and Bed Bath & Beyond I worked about 80 hours a week. Sleeping on the train because I didn’t have enough time to go home and sleep. Changing in the bathrooms at each job to be in the appropriate uniforms. Not eating because it was more beneficial to sleep. Six years and three job changes later I’m sitting at a job I hate, literally wishing I could die because this is not the life I wanted and feeling so utterly and totally confused and unsatisfied. Annoyed that this toxic feeling is what is pushed as “the best to expected” in life. I can’t be mad at anyone though. I made the choices I made. Never did I truly stop to check in with myself. I let the fear of lack of money and survival push me in a direction that I knew, that I was fully aware that I did not want to go. I sat passively by while every dream I ever had was reduced and tossed into the land of improbability. I didn’t commit to me. Now here I am, at a time in my life where I need to be fully committed to myself and I don’t know how. I was let go from my job at the end of last year and I know that one of the biggest lessons that I am supposed to be learning right now is how to be committed to myself, my dreams, my goals. Yet, if I am wholly honest, I’m at a loss. I wake up every morning and I struggle. I have no outline. I have no blueprint. Not short on supply of dreams, goals and aspirations though. Those are there everyday crushing me. Taunting me from a distance because I’m unsure of how to move. For myself. As I’ve spent most of my life moving for everyone else. The underlying reason for lack of commitment is fear. 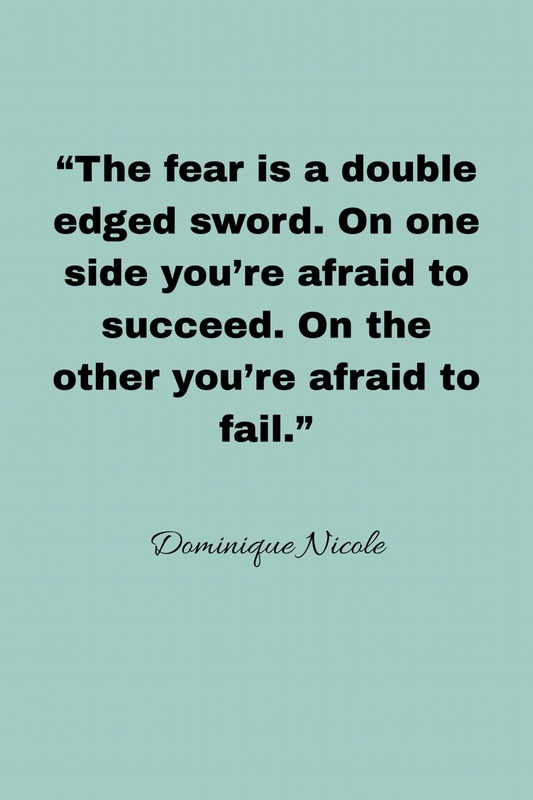 It doesn’t matter if its commitment to a relationship, a business, a weight loss goal the underlying problem stopping people from moving forward is fear. Fear of failure, and often times fear of success. My partner and I were talking about my fears and he told me that I “can’t let my fears stop me from greatness” and that’s what is happening. I’m afraid and it has caused a state of paralysis. I’m standing in the middle of a room attempting the balancing act of life with multiple plates in the air, but they’re just there. They aren’t spinning, rotating or crashing. They’re suspended high above as I gaze up with anxious anticipation. Waiting for them to fall. Too afraid to intervene with the process. Even more afraid of being surrounded by the deafening clatter of the dishes crashing to the earth. At this point I’ve kind of sat down on the floor, legs crossed, elbows resting on the thighs, head resting on the hands waiting for the climatic conclusion of this life. I can’t live like that anymore though. Those plates are important. They represent my blog, my brand, my business, my mental health, my physical health, my finances, my spiritual health, my relationships. I have to stand up and pull each glistening plate out a stasis and toss them back into rotation. I have to find myself committed to life again. Just this time life on my terms. So I’m off on the adventure. Tackling each layer of change as I go. 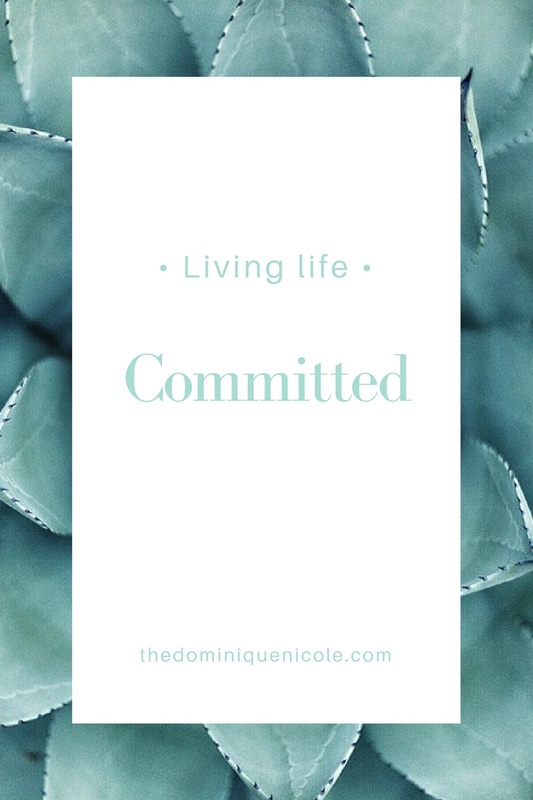 Are you struggling with being committed to life? This is such an awesome piece because of the vulnerability and truth you’re willing to share about your experience! Woman you are unleashed l, now elevate my sister!